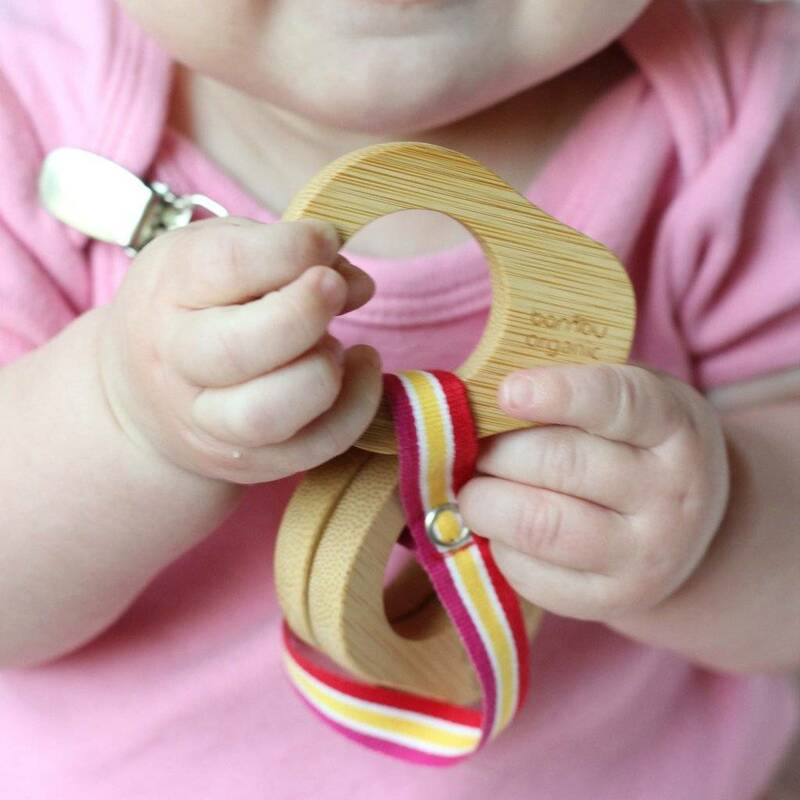 Organic teething rings are a natural alternative to soothing baby's sore gums. 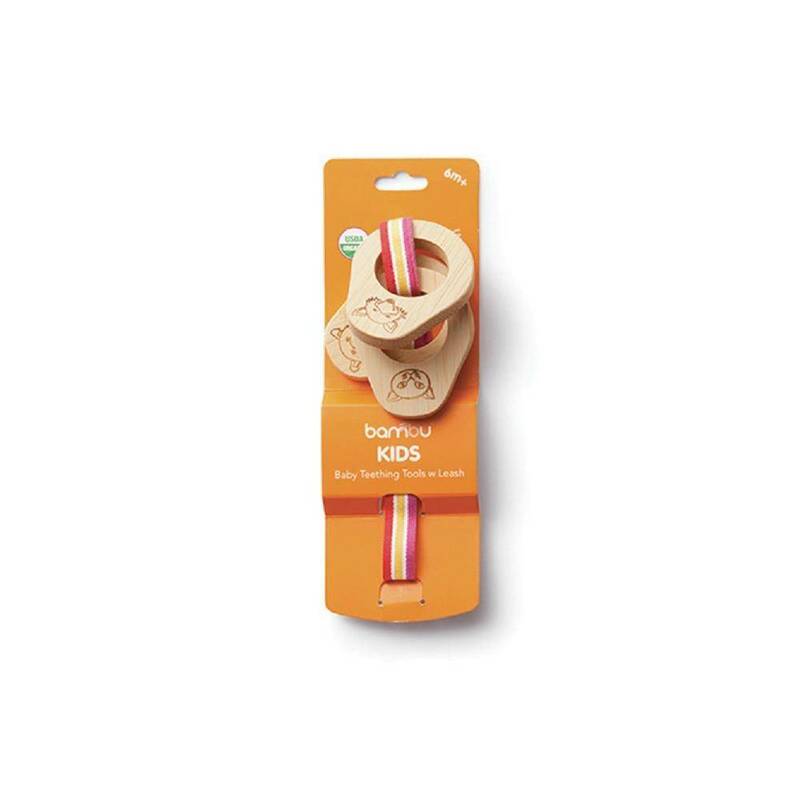 These non-plastic teething tools are made from USDA certified organic bamboo and finished with a certified organic food-safe oil. 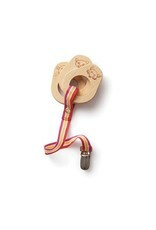 Easy to grip, all natural teething tool will keep baby busy. Each ring shows has a cute animal face burnished on the head. 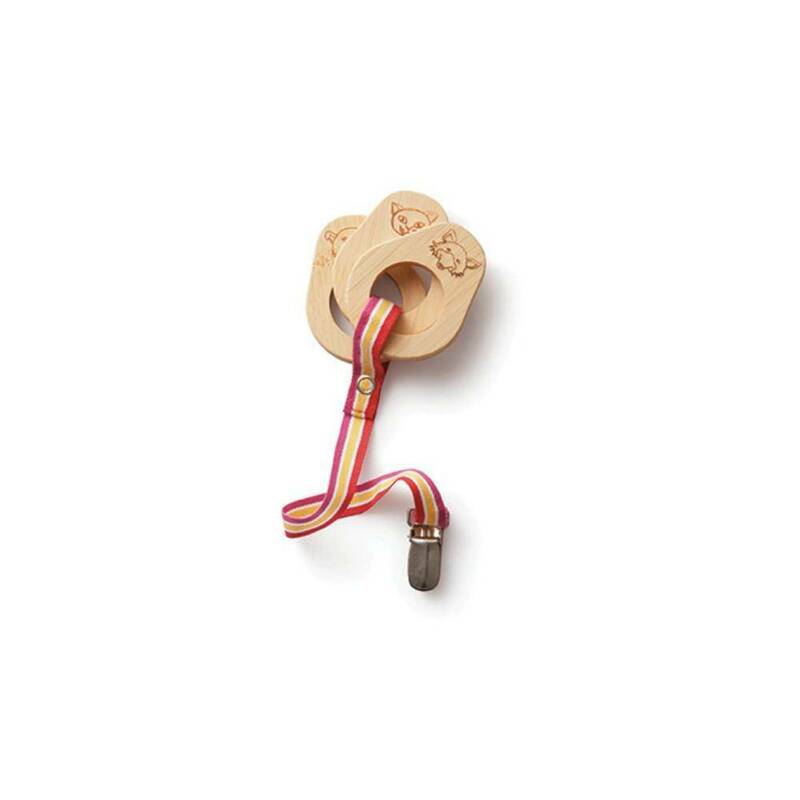 Cotton leash and sturdy, rust-resistant steel clip keeps teething tools within baby's reach and off the floor. Our Mom friends after using our kitchen utensils asked us, 'why don't you come up with a kids line?' There were no alternatives to plastic in the marketplace. 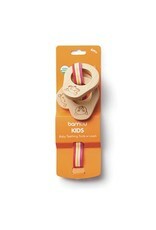 So we got to work and introduced our bambu Kids line in 2010. Our collection of baby and kids eating utensils are the result of caring moms looking for natural alternatives. Thanks Moms.